Wade hacks away at DefCon 2017, where PPP won its fourth title. While many kids in the early 2000s dreamed of a shopping spree at their favorite toy store or the local candy shop, Zach Wade's preference was a bit uncommon for his age: RadioShack. "I had a RadioShack kit that had bajillions of components, and I kept hand-drawn books on how to connect circuits and how to build stuff," says Wade, a fourth-year undergraduate in the School of Computer Science. "That kit was my absolute favorite. I spent hours and hours playing with that." That RadioShack kit may have been the beginning of a path that would eventually lead Wade to the ranks of the Plaid Parliament of Pwning (PPP), Carnegie Mellon's internationally-acclaimed competitive hacking team. The team is heading to Las Vegas this week to compete for its fifth "World Series of Hacking" championship at the DefCon security conference. Wade helped PPP win its fourth DefCon title last year, giving PPP more DefCon titles than any other team in the competition's 21-year history. The way it makes you think, the joy you get after solving something, I really enjoy that. Wade describes the way he first got into security as "pretty much an accident." In high school, a friend of his "dragged" him to a meeting for the school's Cybersecurity Club. Despite initially feeling indifferent about the subject material, Wade recognized that the club was losing most of its leadership to graduating seniors and decided to step up and take over the club. "That's how I got into security – because in order to lead the club, I had to first learn what I was doing," he says. "Through teaching others, I gained a much deeper understanding of the subject material, and I found I really liked it." Wade says he's always enjoyed puzzle games of all kinds. Hacking, he learned, isn't so different. "I think what made me enjoy security so much is it felt like playing those games," he says. "The way it makes you think, the joy you get after solving something, I really enjoy that." 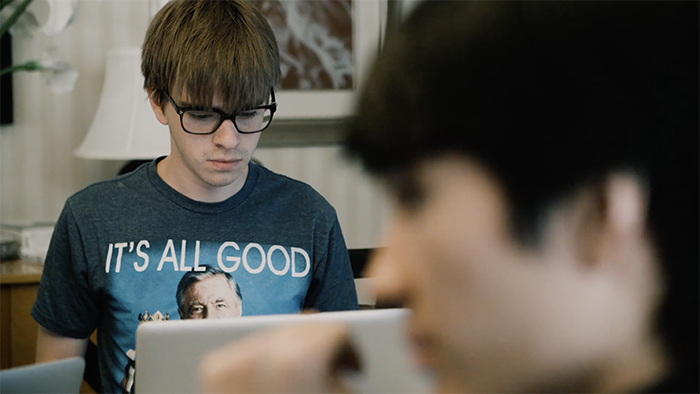 In 2014 as a high school senior, Wade and some friends competed in picoCTF, the Carnegie Mellon hacking competition for middle and high school students. His team finished third place overall, beating thousands of other teams around the country. Over 12,000 students competed in picoCTF that year. "PicoCTF was really an important part of my high school career," Wade says. "It not only helped me learn the security skills I needed to run the club, but it also introduced me to security as a profession – something that people spend a lot of time on." Wade says hacking competitions like these – especially the world championships at DefCon – are much more than just a game. "It's practice for the kinds of attacks and the kinds of defenses we need in the real world," he says. "But it's also a coming together of the security community to make the world safer. It's passing ideas back and forth, in the form of a game, yes, but it's so that we can, as a world, be more secure."